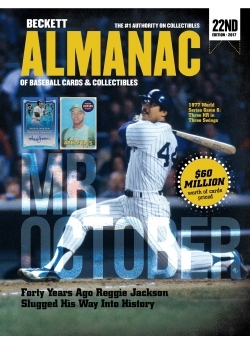 Beckett Almanac of Baseball Cards & Collectibles 22nd Edition. All New for 2017! You are here: Home > Baseball > Baseball Almanac > Beckett Almanac of Baseball Cards & Collectibles 22nd Edition. All New for 2017! More than 1.9 million items priced from 1867 to the present! More than 1.9 million items priced from 1867 to the present!.